Please consider making a tax-deductible contribution to one of our ongoing campaigns today! You can also check out additional ways to give back to the speech and debate community. Forensics played such an integral role in my high school experience. Judging in tournaments as an alumna allows me to give the same opportunity for growth to students on the circuit today. Judging is so much fun and I have the distinct pleasure of seeing some of the most talented kids in the country perform. Every year, more than 150,000 youth are given a voice with their participation in the National Speech & Debate Association. Student members receive educational resources to continually advance their speech and debate training, access to college scholarships, and the opportunity to participate in the annual National Speech & Debate Tournament. Coaches also benefit from their involvement in speech and debate, including online resources and free professional development opportunities that include Coach Clinics—a series of educational workshops taught throughout the National Tournament—which provided more than 400 incidences of education in 2012. The Annual Fund allows supporters to make an unrestricted gift that contributes to ongoing program growth within the Association. Your gift allows us to continue generating educational resources for students and coaches, as well as increase support of new programs and programs in low-income schools. Your contribution will support our mission to promote high school and middle school speech and debate activities as a means to develop a student’s essential life skills and values. We believe all students should have the opportunity to express themselves through speech and debate, and earn the many benefits associated with this multifaceted activity. Please select “Annual Fund” under the program designation section to allocate your online gift to this fund. Carmendale Fernandes passed away October 15, 2014. She was a true friend in the speech and debate community. 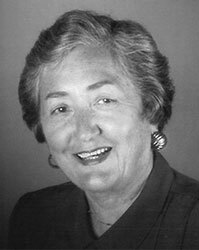 She earned her Degree of Merit in 1953, was an original member of the National Speech & Debate Association Hall of Fame, and was elected the first and only female President of the Board in 1978. Upon retirement, she remained active in California speech and debate and became a longtime sponsor of United States Extemporaneous Speaking at the National Speech & Debate Tournament. To honor her passion for speech and debate, Carmendale’s family and friends have requested donations be made to the National Speech & Debate Association’s Carmendale Fernandes Fund. Please select “Carmendale Fernandes Memorial Fund” under the program designation section to allocate your online gift to this fund. 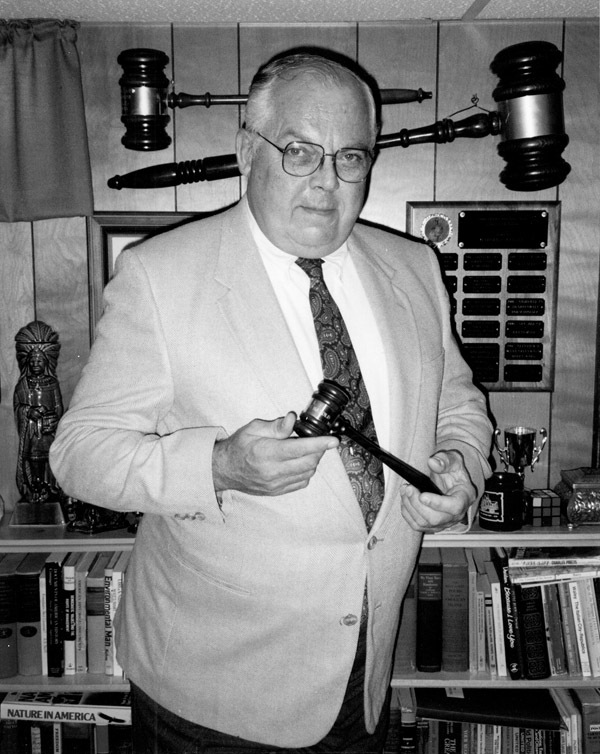 The National Speech & Debate Association is proud to name its annual Policy Debate event after the late Richard B. Sodikow, an outstanding leader, coach, and Hall of Fame member. Mr. Sodikow, a beloved coach and mentor from The Bronx High School of Science in New York, was involved with the National Speech & Debate Association for more than 40 years. To support Richard’s legacy in the organization’s longest running event, the Association has set up the Richard B. Sodikow Policy Debate Fund. Please select “Richard B. Sodikow Policy Debate Fund” under the program designation section to allocate your online gift to this fund. From more than 150,000 student members of the National Speech & Debate Association, nine students from across the country represent the USA Debate team. The team competes in a dozen debate competitions across the globe from Canada and Slovenia to the World Championship in Germany and beyond. The USA Debate team represents the diversity of our nation. The National Speech & Debate Association wants to ensure all students have full access to the opportunities available as they compete for USA Debate, without being limited by individual economic circumstances. Your support of USA Debate will provide research materials and resources, uniforms, and competition travel expenses for the team. Your gift will give students on the team a learning experience of a lifetime, and help us showcase some of our best and brightest to the rest of the world! Please select “USA Debate” under the program designation section to allocate your online gift to this fund. William Woods Tate, Jr., passed away April 6, 2013, leaving behind a legacy of leadership that will remain unmatched in history. Billy was a five-diamond coach at Montgomery Bell Academy (MBA) in Nashville, Tennessee. Prior to joining MBA, he coached at Selma High School in Alabama from 1968 to 1983. In addition to coaching, Billy was a shining leader within the National Speech & Debate Association. 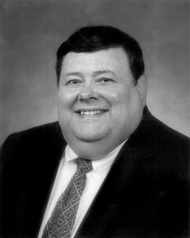 He was elected to the Board of Directors in 1988 and served on the Board until his retirement in 2012. He served as President from 1998 to 2012, and joined the National Speech & Debate Association Hall of Fame in 2000. The William Woods Tate, Jr., Fund is designed to help schools and students attending the National Speech & Debate Tournament for the first time, as well as schools with demonstrated financial need. The National Tournament is the largest academic competition in the world! For students, it is the culmination of months or years of hard work and dedication to their event. Of the more than 150,000 student members we serve, only about 4,000 students qualify each year, and we want to make sure all students who qualify have the opportunity to attend. Your gift of any size will help schools in need attend the National Tournament and allow their students the opportunity of a life time to compete on a national level and receive the recognition they deserve for their achievement. In order to provide these grants to qualified schools before the next National Tournament, please consider making a contribution before April 15. Please select “William Woods Tate, Jr., Fund” under the program designation section to allocate your online gift to this fund. To honor the legacy of “Mr. Congress,” the Association has established the Harold C. Keller Fund. Contributions to the fund will be used to enhance Congressional Debate activities and resources. The Harold Keller Public Service Leadership Award also is awarded annually and recognizes an individual who has successfully applied lessons learned through Congressional Debate to become an effective leader in public service. Please select “Harold C. Keller Fund” under the program designation section to allocate your online gift to this fund. You can do this by simply writing a check and mailing it to us! Please make your contribution payable to: National Speech & Debate Association. Corporate matching gifts are a great way for alumni, parents, and friends to maximize personal contributions to the National Speech & Debate Association and increase the impact of your gift. By taking advantage of a company’s matching gift benefit, you may be able to double or even triple the amount of a contribution. Complete and submit the form to the National Speech & Debate Association along with your gift. Note: The National Forensic League’s Federal Tax ID# is 39-0840589. The National Speech & Debate Association will verify the completed form and return it to your company. Your company issues a matching gift contribution to the National Speech & Debate Association. All financial contributions to the National Speech & Debate Association (National Forensic League) are tax-deductible to the full extent permitted by law. Fewer than one-third of U.S. high schools have speech and debate programs, and even fewer middle schools do. If you are considering starting a program, the National Speech & Debate Association can help! Although many successful programs are tied to schools, they can be started and even run by alumni, parents, and others interested in working with students. We offer training materials for new coaches and resources you can use to advocate for a program to school administration. Find contact information for the coach at your alma mater. Start a program of your own! Contact us for details on how to get started. Log in to your Account to gain access to resources that can help you get started and develop your coaching skills. 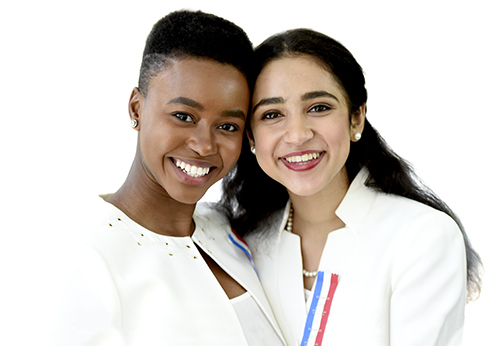 The activity of speech and debate could not survive without thousands of supporters who provide students with educational feedback and constructive criticism. For alumni, this is a natural fit and an easy way to give back. Contact your alma mater or a district chair person in your area to get started. For supporters who don’t have speech and debate backgrounds, the Association can help! We offer judge training materials that will allow anyone to become a proficient speech and debate judge. Download our guide to being a great volunteer judge. Find tournaments in your area. Get help finding judging opportunities in your area by contacting our alumni office. A core value of the National Speech & Debate Association is service. As a community dedicated to empowering students through speech and debate, we want to connect supporters to programs impacted by natural disasters and other hardships. Our Schools Supporting Schools program is an opportunity for teams or individuals to identify ways they can provide material needs and resources. The 1925 Society was founded in 2016 to honor members of the speech and debate community who have decided to include the National Speech & Debate Association in their will or estate plans. Your early support for the 1925 Society will show new coaches, recent alumni, and our other supporters that those who have been most committed to speech and debate in the past are the strongest champions for ensuring its future. The National Speech & Debate Association (National Forensic League) is a GuideStar Gold Participant.